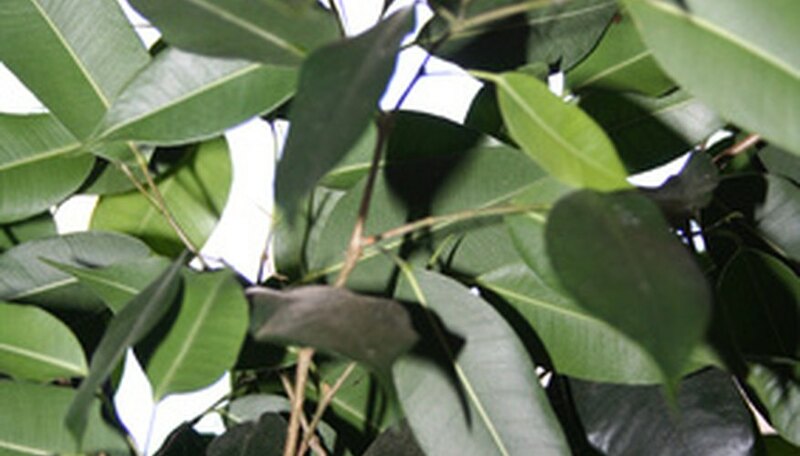 The ficus tree is sometimes referred to as a weeping fig, but its given scientific name is Ficus benjamina. Ficus trees can be grown indoors or outdoors. Growing a ficus tree outdoors can make for an interesting landscape as severe pruning is not an issue. You can shape the tree anyway you like. If left unpruned, however, the ficus tree can grow to 60 feet tall and 100 feet wide. If you're considering using a ficus tree outdoors, you will need to know how to care for it. Plant your ficus tree in an area of your yard that gets at least six hours of sunlight each day. Ficus trees love the sun. Fertilize your soil. The ficus tree can survive in many different types of soil, but you want to make sure you feed the ficus tree by giving it a slow-release 10-10-10 fertilizer. Do this once a month during the spring and summer. Water your ficus tree once a week in the spring and summer, and once every other week in the fall and winter months. When you water, allow the water to sink deep into the soil to reach all of the roots. Protect your ficus tree from frost in the fall and winter by spreading a thick layer of mulch around the base of your ficus tree. Ficus trees are very susceptible to frost damage. Prune your ficus tree as desired. You may need to prune your tree to a certain size so it fits on your property. You could also prune it to maintain a certain shape. Pruning regularly won't hurt your ficus tree. The roots of a ficus tree can grow rather quickly. If the ficus tree is planted near a sidewalk or driveway, the roots can actually lift up the concrete.